Mober Technology PTE (Mober), the first-ever tech startup that offers an on-demand platform for same-day delivery service in the Philippines, has partnered with 2GO Group Inc.
Mober Founder and CEO Dennis Ng said aside from the latest capital infusion, they will now also get to service SM's businesses providing them same-day delivery capabilities. Mober, the platform chosen by brands like Dunlop, Betterdogs, Fujidenzo, Adidas, Mandaue Foam, and Dimensione, will be adding SM Appliance, Our Home, SM Department Stores, and other SM affiliates to its roster of clients. Mober's same-day cargo delivery service connects small and medium enterprises (SMEs), shoppers, and all families with a cost-effective, safe and fast logistical service with a dedicated customer support. "We saw a problem that SME’s usually encounter - they have to buy their own delivery van, increased CapEx. So we realized why not build a company which provides a solution to this problem," Ng said. "From individual to businesses, Mober helps you move forward in just a few taps using our Mober app. It's a click, load, deliver scheme. We offer pick-up and delivery services that’s tailored to your specific needs." Founded in December 2015, Mober has changed the buying behavior of the Filipino market as they now expect a same-day delivery when shopping for bulky items. Mober intends to use the investment proceeds to expand its business in key cities in the Philippines, to further enhance the Mober app (available on Google Play and App Store) for better scalability, and to add more van partners to better serve affiliates’ requirements. 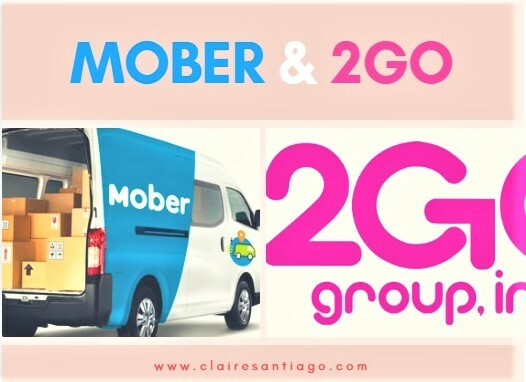 2GO Group President Frederic DyBuncio said: "Mober fills in the gap for 2GO being a technology platform that allows on-demand delivery service for big items." Meanwhile, 2GO Logistics Chief Operating Officer Ricardo Aguas said with the new partnership, the Philippines is actually witnessing a synergy of tech and business innovations in the local logistics scene. "This is also a strategic partnership for 2GO as we are also embracing the multiple opportunities the digital world brings," Aguas said. Other on-demand services Mober offers include booking of home and store deliveries on the same day or advance, pet shuttle, among others that assure worry-free logistic support and service. "We in Mober prioritize our customers all the time. We make sure our van partners are trained enough to provide convenience in delivering big items and to handle our customers' valuable items with utmost care," Ng added. Aside from a dedicated customer support, Mober also features Transparent Pricing, GPS Tracking, SMS or Call Contact, Real-time Driver Spot, and Cargo Insurance.